Here we have the first ever and original Double Framed Grilles made by Ablaze Grilles, our A-II line. 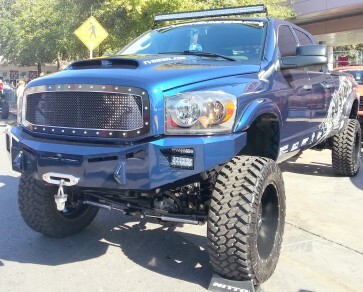 This double framed, full replacement grille is for a 2008-2009 Dodge Ram HD 2500/3500. The outer frame and the steel mesh is powder coated to a high gloss black and the inner stainless frame is gently brushed to achived a machined look, then it is powder coated in a clear, to finish off. Real stainless steel bolts are adorned through the main frame to project a truly unique yet agrresive luxurious look for your truck! 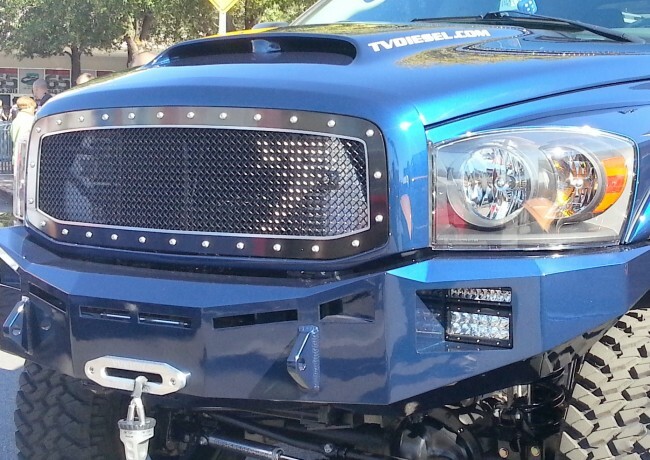 Want to custom color match this grille to your truck? We can do it! Let us know prior to ordering what color and how you want the color scheme on your A-II grille.